Description: Steel engraving, 243 x 183mm. Portrait of Queen Catherine Parr with ornate decorative frame. 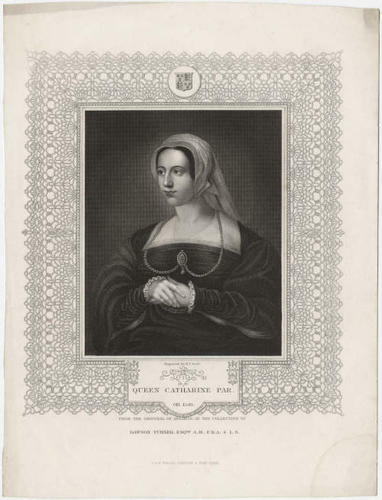 Caption reads: ‘From the original of Holbein in the collection of Daswon Turner, Esq., A.M.: F.R.A; & L.S.’. Engraved by H.T Ryall. Published by John Tallis & Company, London and New York, no date. Catherine Parr (1512 – 5 September 1548) was the last of the six wives of Henry VIII of England and survived him. Artist or photographer: Ryall, H.T.